While this doesn’t sound like a big deal, it is an illegal process that has impacted many homeowners over the years. In short, dual tracking is nothing more than a process in which a mortgage lender is processing loan modification documents and moving forward with the foreclosure process at the same time. For many years, mortgage companies have been using this process to their advantage. By taking this approach, the lender can make the borrower believe that they will be approved for a loan modification, thus leading to a lower payment. However, what happens is this: they are denied for the amendment, and since the foreclosure process has been moving forward all along, they are closer than ever to losing their home. Furthermore, due to time constraints, they are left with few options. Fortunately, there are rules and restrictions in place to protect homeowners against dual tracking. If a lender is found to have broken the law, the homeowner has the right to file a lawsuit against the company for illegal lending practices. In the end, the owner hopes that the trial will allow them to prevent foreclosure and remain in their home. There is a major problem with dual-tracking: it can be tough to identify. For this reason, lenders can get away with the practice time and time again. Did you know that many people have been a victim of dual tracking without even knowing it? There are a few things you can do to spot dual tracking and to determine if you’ve been a victim. First and foremost, answer this question: were you recently denied for a loan modification, just to receive a notice of default or intent to foreclosure shortly after that? In this case, based on the timeline, it’s possible that you have been dual-tracked. As dual tracking has become a bigger problem throughout the country, the government began to consider options for cracking down on lenders. 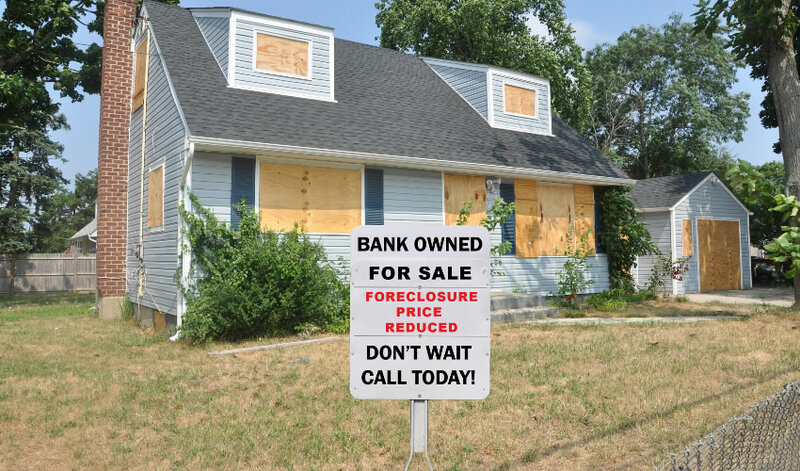 This started when the Consumer Financial Protection Bureau issued a rule that restricts lenders from moving forward with the foreclosure process while the borrower is attempting to secure a modification. With the new law in place, lenders are required to stop the foreclosure process once an application for loan modification has been submitted. They cannot continue forward until the application has been reviewed in its entirely. There are a few additional details to become familiar with, as outlined by the Dodd-Frank Wall Street Reform and Consumer Protection Act of 2010, which went into effect in January of 2014. A mortgage company is not permitted to initiate the foreclosure process until you are 120 days delinquent. Lenders are not allowed to begin foreclosure proceedings if a loss mitigation application is in pending status. Thanks to the recent changes made by the Dodd-Frank Wall Street Reform and Consumer Protection Act of 2010, it would be easy to believe that dual tracking is no longer a problem. Unfortunately, this is not the case. There are still situations in which lenders cross the line, thus putting a homeowner in a bad situation in regards to avoiding foreclosure. In 2015, for example, the CFPB's Supervisory Highlights report revealed evidence of dual tracking. In one case, a company sent a notice of foreclosure to borrowers despite the fact that they were already approved for a modification. They also found that another lender erroneously sent notices to borrowers who were current on their mortgage, noting that the foreclosure process would be starting. If you’re having trouble making your monthly mortgage payment, it’s important to consider all your options for saving your home. For many homeowners, a loan modification is the best way to move forward. When discussing a modification with your lender, pay close attention to the timeline and what is being asked of you. If at any point you believe that they are still proceeding with the foreclosure process, you need to learn more about your legal rights. As noted above, dual tracking is illegal.